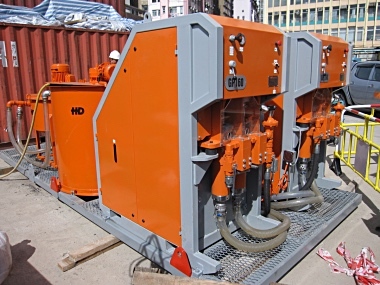 HD Engineering has a wide range of electrically powered hydraulic grout pumps. 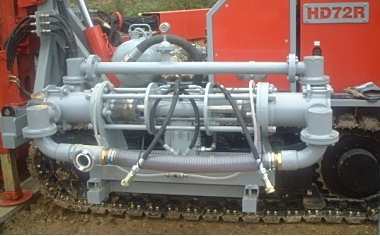 The GP160-100 pump is suitable for grouting water, cement, bentonite and find grained material. The special features of the GP160 includes high output flow and pressure, user friendly adjustable output pressure and volume control as well as convenient maintenance. Its robust and compact design makes it to be handle by small crane truck and fork lift easily and conveniently. 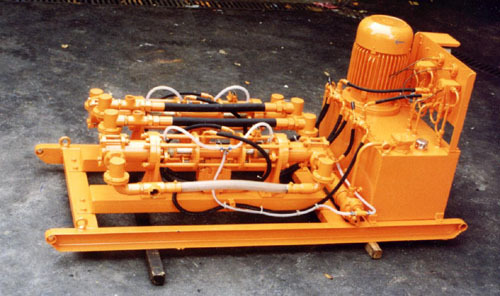 The GP60-70 / GP100-35 pump is suitable for cements grouts, it is a double acting positive displacement plunger type with a robust cast iron body skid mounted. The reciprocating motion is achieved by a highly reliable mechanical switching control valve. The hydraulic drive pump and directional valve are located inside the tank thereby avoiding any chance of cavitations, or dust infiltration. The system also includes a water to oil hydraulic oil cooler to maintain optimum system temperature. The DGP50-35 consists of two separate independently adjustable positive displacement pumps driven by an electric motor. 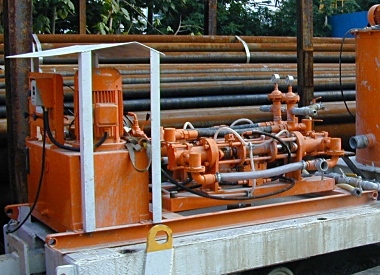 The pumps are double acting plunger types and are driven hydraulically, suitable for various, chemical or cement grouts. The DGP50-80 is an upgraded version of DGP50-35 grout pump but equipped with a higher power electric motor and more powerful hydraulic pump for higher grouting pressure, suitable for various, chemical or cement grouts.